﻿Published by Sareth Ney on Jan. 9, 2017 at 7:47 p.m. Updated on Jan. 9, 2017 at 8:24 p.m.
NEW ORLEANS – Ric Zweig was inspired to become a musician, during his upbringing. He remembered listening to artists and genres with his father, every Sunday. They included: Judy Garland, George Gershwin, Mahalia Jackson, classical and show music. 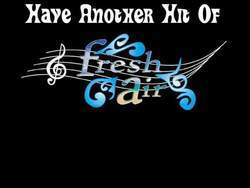 A Breath of Fresh Air was the original name of Fresh Air, when they started as a duo. After drums and bass were added, it shortened to Fresh Air. Zweig cited it best described them and their music. After a Fresh Air set has come to an end, their mission was to touch the onlookers with emotion. Whether it was through Alex Mallet’s guitar riffs, Miguel Cruz’s drum strikes, Ricky Risquez’s bass playing and Zweig’s vocals—they were dedicated to those who were willing to listen and hope they remember the experience. Every time Zweig stepped on stage with his bandmates and everyone was performed on the same level, Zweig felt delighted performing on stage. As a solo artist, his largest audience was approximately 5,000 spectators in Key Biscayne, Fla.
Broward County Music Festival, Natural Cure Festival and Save Rock Festival were some of the festivals Zweig has performed at. If he could set up the bill for a festival of his own and featured artist from the past and the present, he chose the following: Judy Garland, Larry Hoppen, Etta James, Van Morrison and Colm Wilkinson. Hoppen was Zweig’s former college roommate. He was in the rock band, Orleans, and passed away two years ago. Zweig’s favorite albums are “Forever Changes” by Love, Jimi Hendrix’s “Electric Ladyland”, Pink Floyd’s earlier records including “The Dark Side of the Moon”, Bob Dylan’s “The Best of Bob Dylan” and Van Morrison’s “The Best of Van Morrison”. Zweig’s favorite live album is a bootleg copy his friend had recorded of Robin Trower’s performance in Ft. Lauderdale, Fla. His reason is it blows him away because Trower is a genius. In the next five years—Zweig continues to seek and enjoy his music journey, to the best of his skill. He is happy where he is at, as a singer and songwriter. Along with Fresh Air, they now call New Orleans home and continue to pursue their music endeavors. In early 2017, Fresh Air will release an album called “More Ric Zweig & Fresh Air”. Website for Zweig can be found by clicking here and followed on Facebook here. Fresh Air’s Facebook page can be found here.